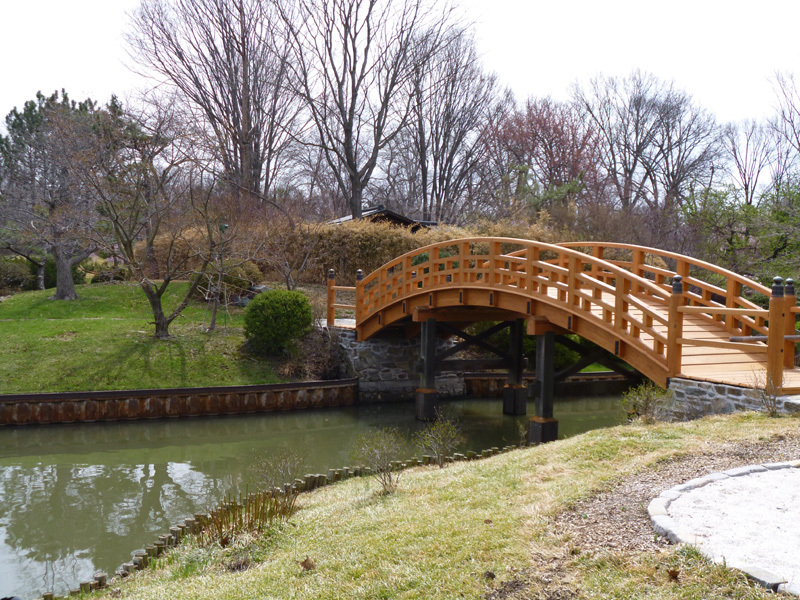 One of the advantages of taking a Grounds Management course through Meramec is that we got to see the Japanese garden which is closed to the public. 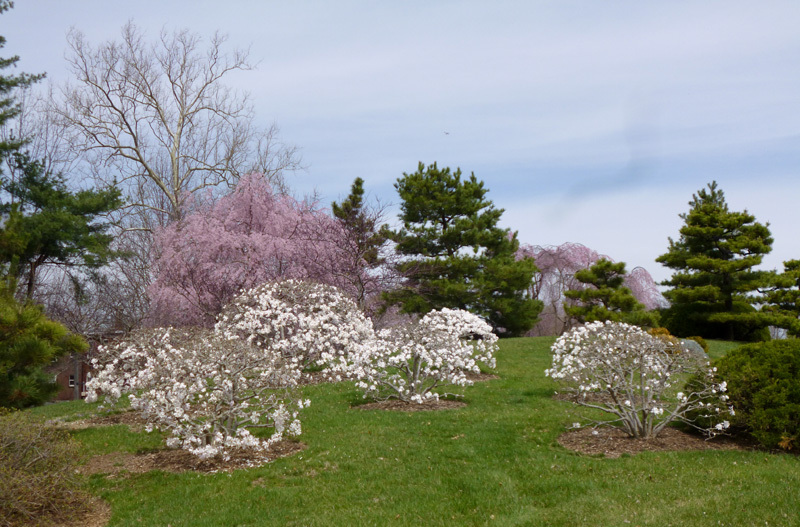 Greg, the senior horticulturist for the Japanese Garden, took us around and gave us some great advice. 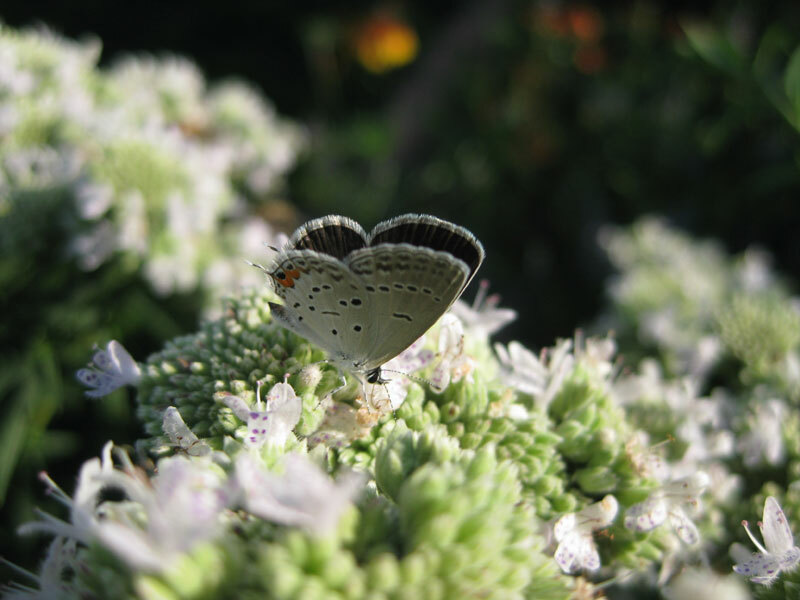 While most of this doesn’t specifically apply to butterfly gardening, you can apply the principles to any garden. He talked about this topic most of the time. Here are some tips I wrote down. You are working to create structure. Early spring is a great time to prune as you can see the structure of the branches. Later in the year, things are covered up. You want to allow light to get into the center of the plant. If you have a hole in a plant, create other holes to balance the plant. You can remove about one-third of the plant per year if you need to restructure the plant. He usually starts pruning with shoots that are pointing out from the main plant. Plants talk to you by raising their hands. He uses the analogy of people raising their hands. Those are the first branches he prunes first. If you can – make one cut to take out two branches – saves time. You prune farther back than the edge of the plant. You want to allow it to grow out to where you want it to be. Prune the larger branches – give the smaller branches space to grow. Pruning is a multi-year process. You prune and see how the plant responds. You are constantly watching the plant and see how it is reacting and growing through the year. He doesn’t fertilize 99% of the garden. He doesn’t want a lot of growth. He wants to keep things smaller. Never shear a plant – then you only get growth on the ends. When you prune, you don’t want people to be able to see the cuts. Cut farther in so that the outside foliage hides the cut. He prunes 1/4 of the plant at a time – he moves around in a circle. You want to be able to see into and through the plant – then you know that light is getting into the plant. He use Lysol spray to disinfect his pruners and other tools. Most of his plant shapes are hamburger bun shape. In parts of the plant that the public won’t see, he makes larger holes so that light can penetrate. Usually he might do this with the top of the plant that the public can’t see. You can train a tree to grow down by pruning out the buds and shoots which grow up and only leaving the buds which point downward. He keeps many of his trees down to a small size by selective pruning. 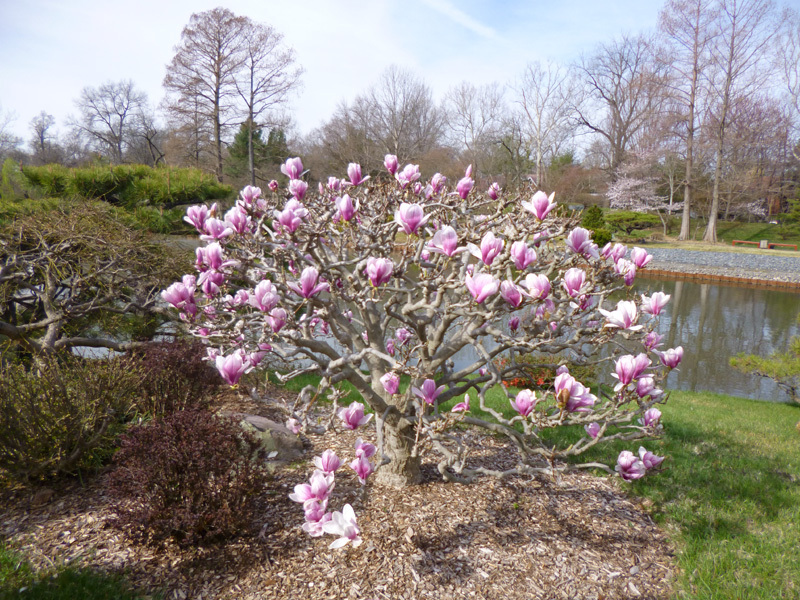 This magnolia is a standard size tree. He says you can do this with any tree, but need to start when it is young. This is a viburnum that he keeps very small. The one in my yard is almost six feet tall. They do use leaf mold as a mulch on herbaceous perennials. If the garden looks good – don’t mess with it. When you see a problem then you can start to do testing. He doesn’t recommend bamboo – it is invasive and takes a lot of work. Greg also talked about layering your plants/trees so that you first see on plant layer then look behind that etc. He even talked about using trees outside the garden as part of the layering process. Around July 4th some of my perennials which have been spectacular for the past two months are now going to seed and although they’re still green, don’t add anything to the garden. This is true for veronica, salvia, and maltese cross in particular. What I do around this date is to save any seed I want and then cut the plants down to the ground. I also usually add a bit of fertilizer to spur some new growth. Last year I got three distinct blooms using this plan and my gardens looked great. This year I’ll probably only get two blooms, but that is still one more than most people. The other advantage I’ve found is that for veronica, buckeyes like to lay their eggs on this new growth. I have experimented with this technique on other plants and have not duplicated the success. If you know of any other butterfly perennials that this works with, let me know. One tool that I use on a daily basis is a hand pruner. 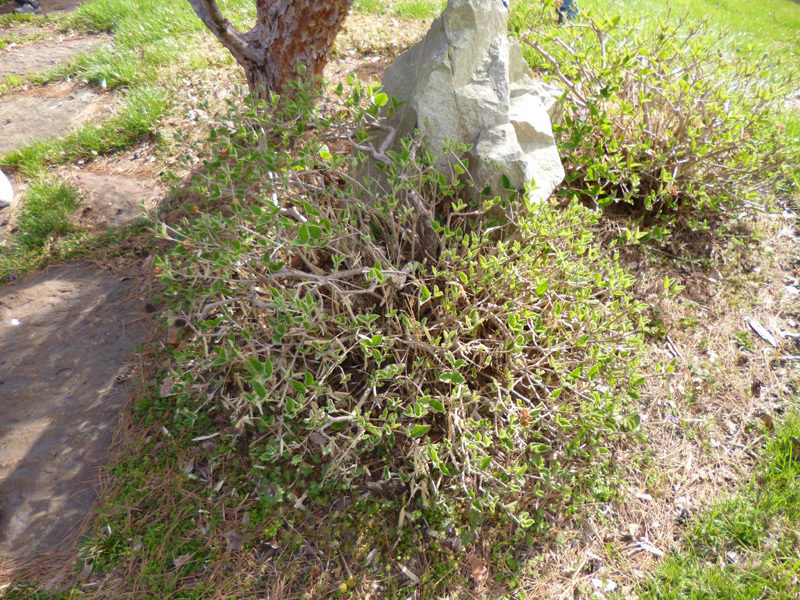 Plants constantly need to be pruned and dead-headed. For the last year I have used Fiskars 9124 Professional Bypass Pruning Shears – $15.22 on Amazon.com. I have made thousands of cuts and they have done a great job. I recently took them apart, sharpened and oiled them and they seem to still be doing a good job. 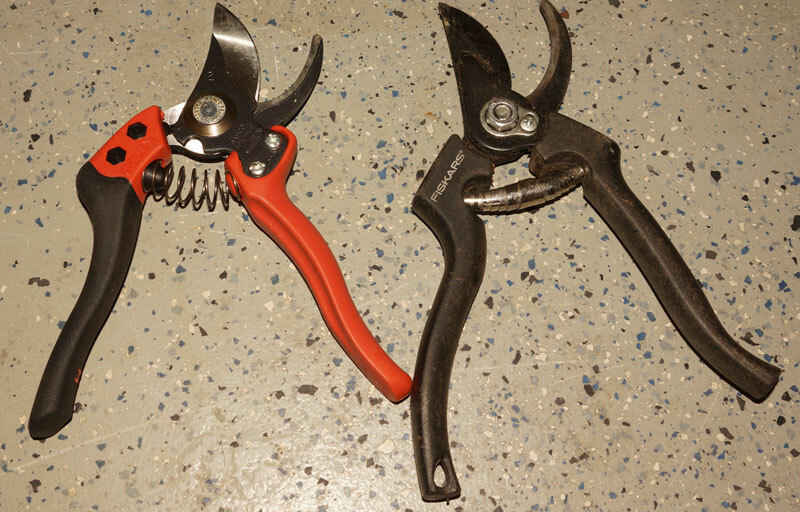 I thought I would try some other more expensive pruners – Bahco Ergo Bypass Pruner PX-M2 – $45 is what I paid on Amazon. (Note – they are now $53.) These pruners are three times more expensive so I was expecting a lot. What you’ll notice from the picture is that the Bahco – Medium Size – are significantly smaller than the Fiskars. To me the Fiskars were more comfortable in my hand. I’d probably choose the “Large” size Bahco in the future. When it come to cutting small branches. there is no difference. They both cut well. When I was cutting larger branches – say 1/4 inch or more the Bahco slid through the branch easier than the Fiskars. This could be to the fact that they are brand new and still have that factory edge. In summation, for the money Fiskars makes a great product and I would have no hesitation recommending these pruners and use the extra $30 for other tools. Deadheading is the process of cutting off the spent blooms of flowers to encourage other blossoms to form and bloom. It’s a time-consuming, almost Zen activity which all good gardeners must do. The trick is to learn which flowers benefit the most from dead-heading and which plants it doesn’t help. 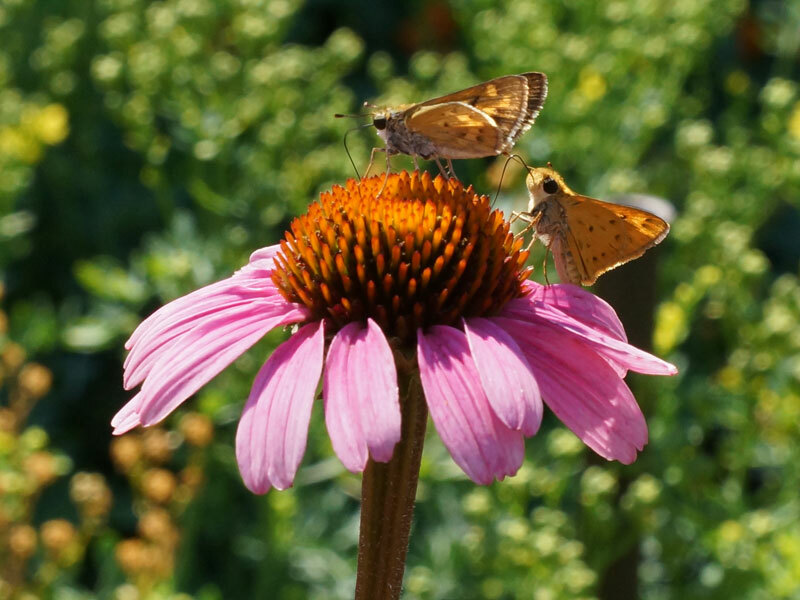 Here’s my guide to dead-heading plants in the butterfly garden. 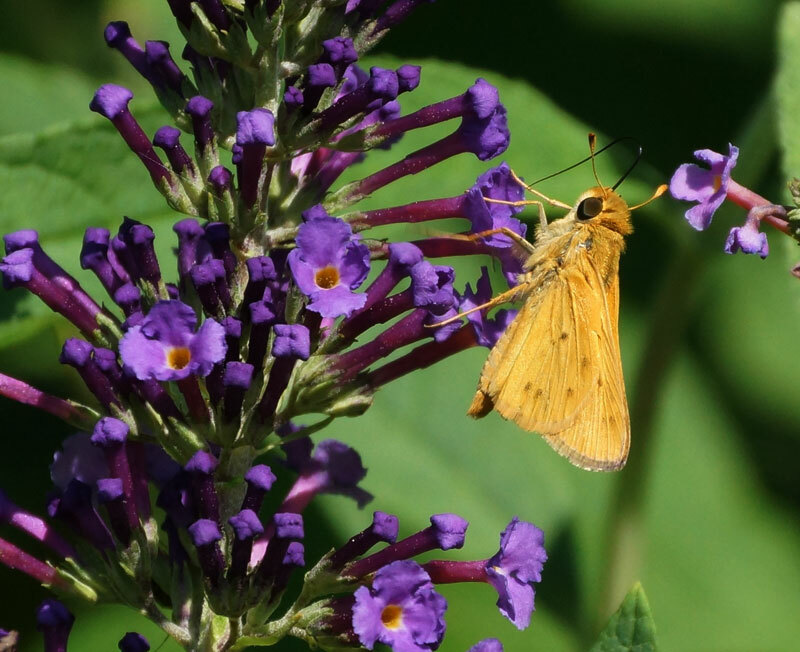 Butterfly Bush – needs constant deadheading to get it to re-bloom. The smaller sizes are easier to deadhead. 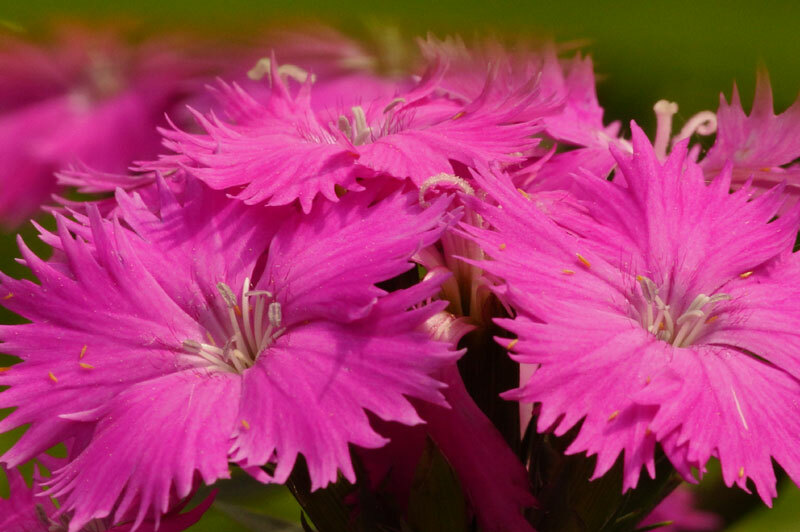 Dianthus – perennial – Most dianthus bloom once and that’s it. Deadheading is generally impractical and not done. I cut it back and save the seed. Echinacea – I dead head some, but leave others for the gold finch to nibble on. I do it more for aesthetics. It will help a little, but at some point later in the season they will stop blooming. Try and keep varieties that do well and attract the butterflies and dig out and pitch the rest. Make sure you save the seed of the great plants and plant in the fall. 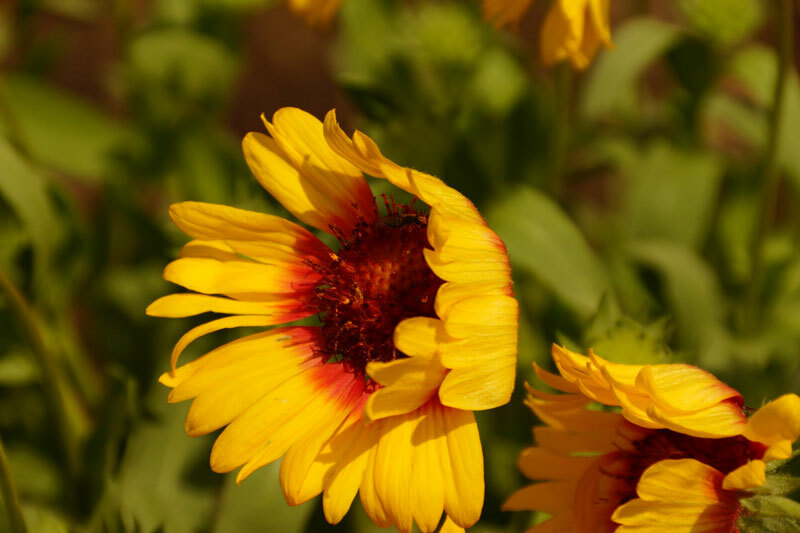 Gaillardia or Blanket Flower – This is a vigorous grower and can use a lot of dead-heading. 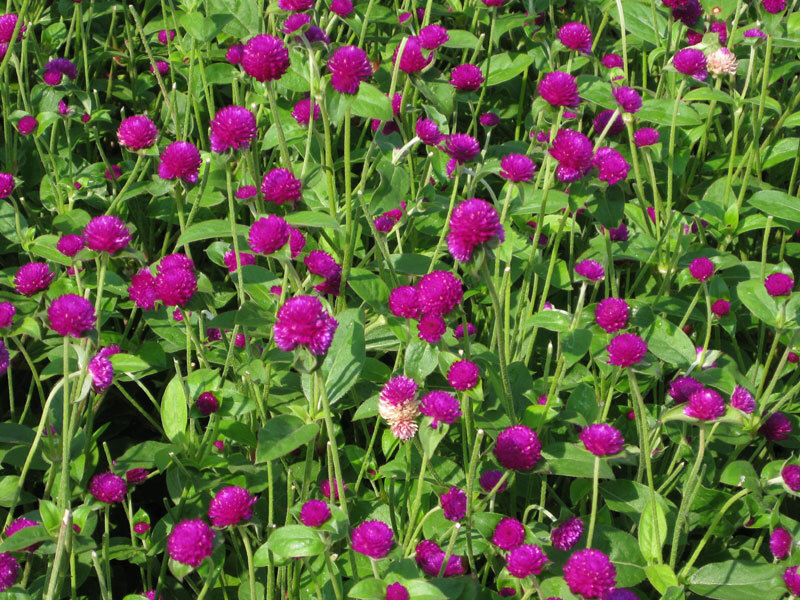 Globe Amaranth – no deadheading needed. Lantana – not necessary to deadhead. 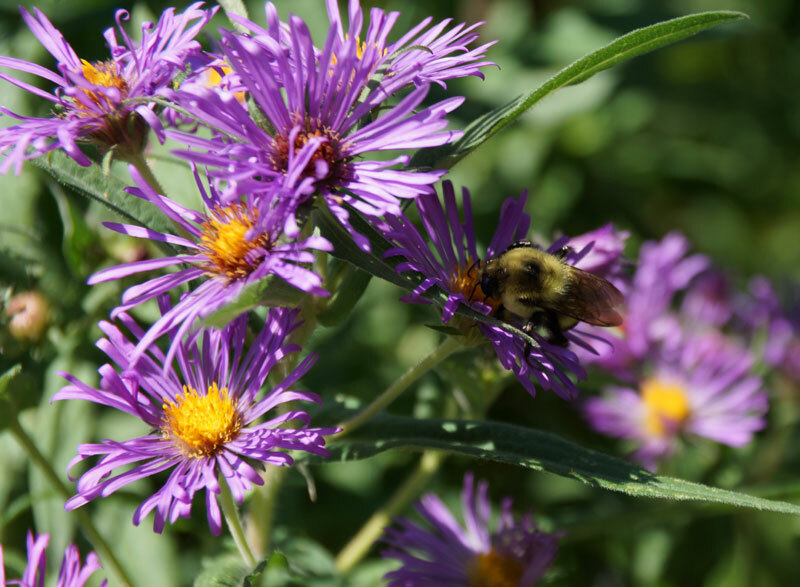 New England Aster – normally this blooms in the fall, but this year it bloomed in June. 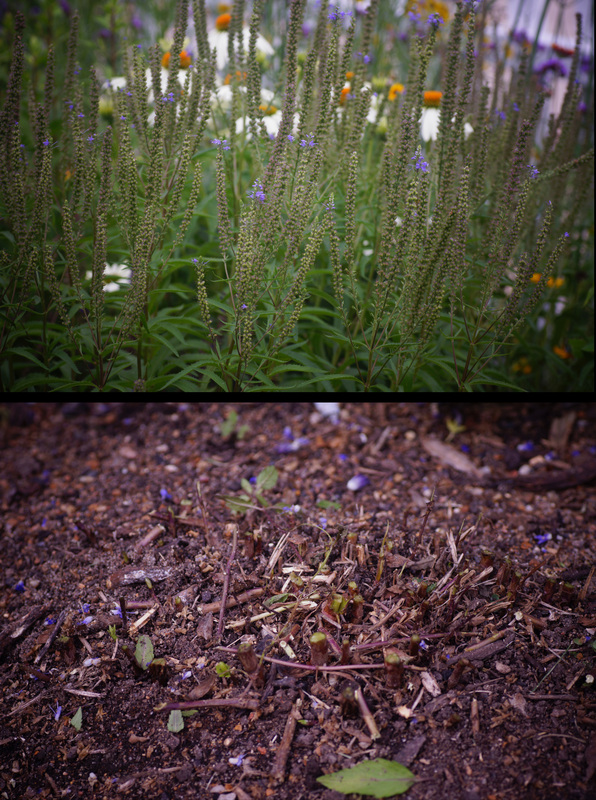 I’m cutting it back to the ground to see if I can add a 2nd blooming – July 15th. 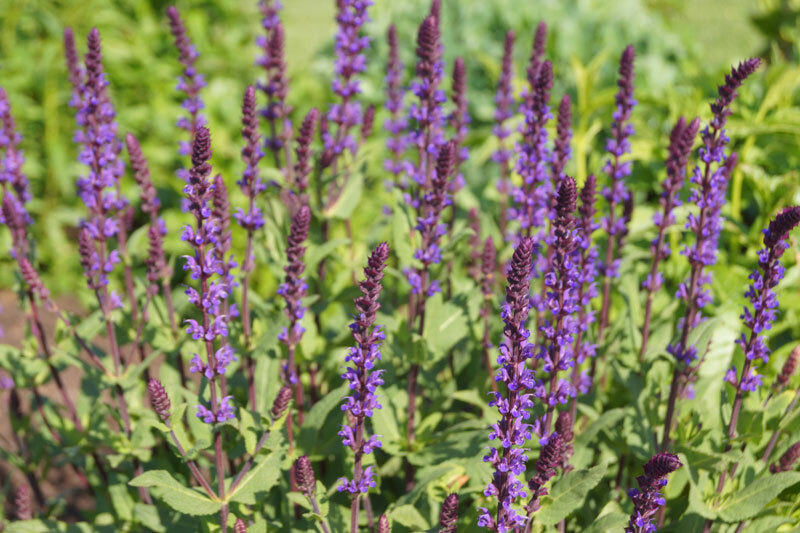 Salvia – perennial – No need to dead-head. When this is finished blooming, cut it to the ground and it will come back and give you a 2nd bloom. 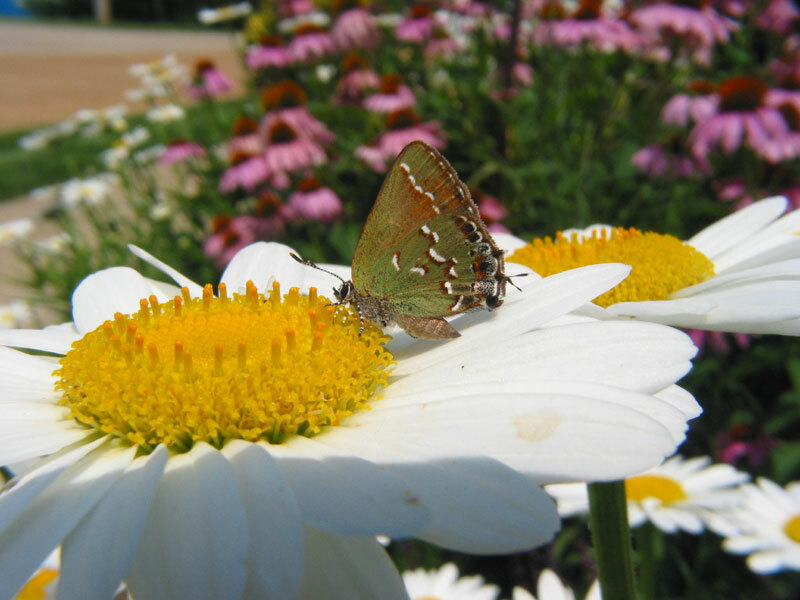 Shasta Daisy – deadheading will help the plant look better, but won’t keep it from blooming forever. Slender Mountain Mint – this perennial will bloom most of the year with no deadheading needed. 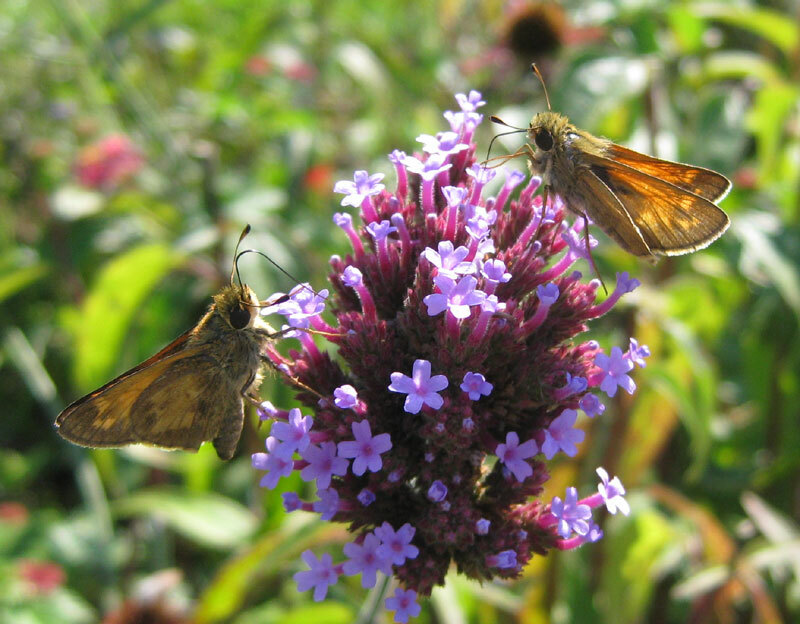 Verbena bonareinsis – this tall verbena is an almost constant bloomer and doesn’t need deadheading. 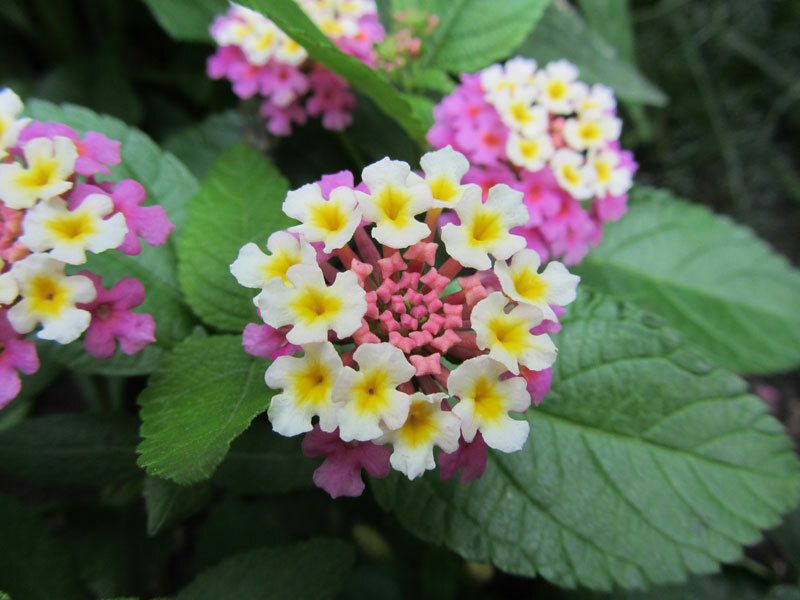 If you still have lantana in the ground from last year, don’t dig it out and throw it away – it may still be alive. Because of the warm winter, my Miss Huff and Star Landing lantanas are both coming back. I’ve uncovered them and cut them back and they seem to be doing well. Covering them with grass clippings and leaves may have helped them get through the winter. Unfortunately, my ham and eggs is way too sensitive to make it through the winter. I could tell when I cut it back how dry and brittle the branches were. Chapel Hill, a low-growing yellow, still shows no signs of coming back to life, but I’m going to give it a bit more time. I have about twenty different garden areas in my yard and it takes quite a bit of time to clean up last years debris and trash. 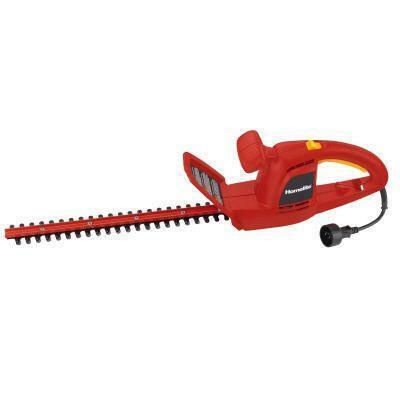 One new technique I have tried in the last few days with our record breaking 70 degrees in January is to use a hedge trimmer. It seems to work well for 90% of the garden. In the past I have used a brush cutters and lawn trimmers and both do a pretty good job also. With my bad back though I find that both tools hurt a bit and I pay the price the next day. With the hedge trimmer I can set it on the ground and move it back and forth and cut down all but the largest branches. I’ve noticed a number of gardeners complaining of moth infestations and wonder if this type of clearing early in the year, before spring, might be a good way to reduce the moth population. If you’ve got Veronica which has gone to seed, don’t be afraid to cut it down to the ground. Here’s a video of a Buckeye laying eggs on Veronica which has been cut back. I’ve seen this also with Pipevines and Monarchs. they all seem to prefer new growth just coming out.